Head Coach - Paul Fabbri has been a teacher at Ridgefield High School for the past 19 years. He won over 200 games at Notre Dame of Fairfield including the 2003 Class M and the 2009 Class S state titles. He coached the girls’ ice hockey team at Ridgefield for 11 years and coached football at Ridgefield for two years. Assistant Coach - Len "Boots" Merullo is entering his sixth year with the Tigers. A Ridgefield resident since 1968, Boots played at Holy Cross in College and professionally in the Pittsburgh system for 3 years. 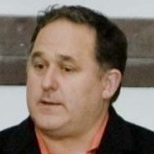 Boots has 28 years experience as a coach, manager and GM of Ridgefield Town Team / Bryon AC. Head Coach - Mike Scarlett is a graduate of Ridgefield High School who has been coaching baseball in Ridgefield for 20 years and is entering his fourth season as head coach of the Junior Varsity team. In addition to previously assisting at RHS on the freshman level and coaching the JV at Immaculate HS, Mike has coached at the Babe Ruth, Legion, and AAU levels while also winning a pair of town championships with his RLL team, Squash's. Head Coach - Adam Marks will be starting his third year at Ridgefield High School. He is a graduate of Bethel High School and comes with 16 years experience coaching at Joel Barlow High School as well as Easton-Redding Babe Ruth. Adam played in the Housatonic Velley Baseball League for 15 years. 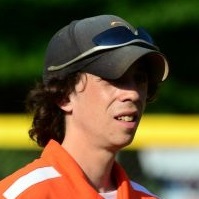 Assistant Coach - Tom Fitzgerald enters his fourth season as Assistant Coach of the Ridgefield High School freshman baseball team. He is a graduate of RHS and attended Stonehill College where he played baseball all four years and was captain in his Senior year. Tom still plays competitively with the Ridgefield Reds Over 30 Team and is a Sales Representative for Adobe Systems, Inc.